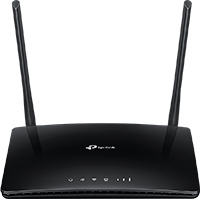 You can shares your 4G LTE network with multiple Wi-Fi devices by using TP-Link 3G/4G Routers or MiFi products. Share your story and join the discussion with other users here. Using Unlimited Plan Sim in MiFi/Wifi Router? Can TP Link Tether pick up data usage stats from MR200? M7350(EU) failed to upgrade FW?? MR3020 V3 is not as reliable as V1.9 when connecting to internet via a 4G telstra mode. Can I lock down a TL-MR6400 to only allow access over IPSEC? M5250 firmware update on Windows 10?